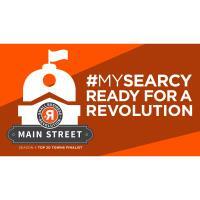 Searcy, AR is in the top 10 towns out of over 12,000 nominations across the USA to win $500,000 for small businesses makeovers as well as be featured on an 8 episode TV show “Small Business Revolution” hosted by Ty Pennington and Amanda Brinkman. Searcy winning the Small Business Revolution is such a significant opportunity for our state in many ways. Already we have witnessed amazing unification and excitement for positive change and progress for our small businesses and towns. Your help is vital to Searcy’s success in this program. Ultimately, the winner is determined by the town with the most votes. Your network throughout Arkansas as well as nationally will be instrumental in raising enough votes to win. The other towns in the top 10 amongst other states are doing a great job while they prepare, so we must be better prepared. As we have spoken to other towns who have won this program in past season’s, the positive impact has been astounding for their community and regionally. Vacant buildings are full, businesses and families are relocating to their area, tourism dramatically increases and national PR shines a spotlight on the community and state. The direct benefits to residents of Searcy and Arkansas would be greater quality of life for residents, a better recruitment asset for relocation, higher retention for businesses’ employees as well as students after graduation, better job options for students while in school as well as post graduation, and the list goes on. #2 Please consider how YOU, your business or organization can help network to reach as many supporters as possible to opt-in for the reminder as well as vote. Think about influencers with large social media followings, large business staff, famous individuals, universities, churches and large groups of people who may support Arkansas! The voting protocol is a link that will go to a page on the Small Business Revolution website. The link will be provided via the text reminder, as well as e-mail and social media. Supporters can vote once a day of the voting week in early February per device. The voting week will be February 12-18.